Ginseng has played a prominent role in herbal medicine for thousands of years. Native Americans have been using it since before their encounters with the Europeans, and it has been a major part of traditional Chinese medicine for over 5,000 years. Ginseng can be divided into two main types: Oriental ginseng and American ginseng. While they have many shared elements, they also have fundamental differences and are used to treat different ailments and to induce different responses from the body. The Chinese were the first recorded people to use ginseng on a regular basis. Because the plant's root often grows to resemble a human form, the name they gave it was a combination of the Chinese words for "man" and "plant." The plant later became known as Panax, a Greek word meaning "all healing," or "cure all," and it is related to the word panacea. In traditional Chinese medicine, ginseng was used as a "warming" herb since it was thought to boost energy and increase and stimulate body functions. It was widely used to increase sexual desire and potency. There are two main types of ginseng: Oriental ginseng and American ginseng. 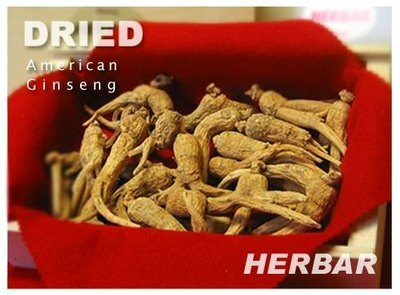 Oriental ginseng is grown in China and Korea and generally consists of Red Panax and White Ginseng. White Ginseng comes from the naturally dried root of the Oriental ginseng grown in Korea. Red Panax, the most popular type of ginseng in the East, is made by steaming the Korean White Ginseng root for 8 to 10 hours, then letting it dry. 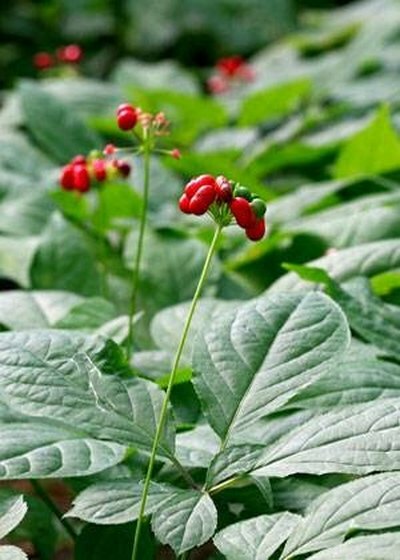 The resulting ginseng is red and is generally considered to be of higher potency than that of White Ginseng. 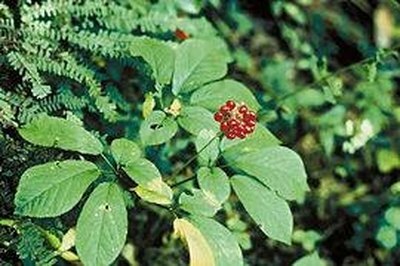 American ginseng is native to Eastern North America. Its range spans from Southern Ontario to Georgia and as far west as Wisconsin. Most Oriental and American ginseng that is used has been cultivated since wild ginseng is now rare. Ginseng has been used to treat an astonishing variety of ailments, from Alzheimer's disease to diabetes to gout. The Chinese use ginseng to "warm" the body; in particular, they believe that ginseng taken on a daily basis will increase the body's energy over the long-term. By contrast, American ginseng is thought to "cool" the body, relieving stress, and increasing physical and mental endurance. Recent research into the benefits of ginseng indicates that it may prove powerful as a way to reduce cholesterol and prevent cancer. Other research has indicated that ginseng can be helpful for easing hot flashes in menopausal women and normalizing menstruation in others. Ginseng's main benefit derives from its use as a preventative. Most experts recommend 500 to 1500 mg (milligrams) per day to see results in the long-term. However, those trying to use ginseng in a therapeutic manner should use 2000 mg per day. 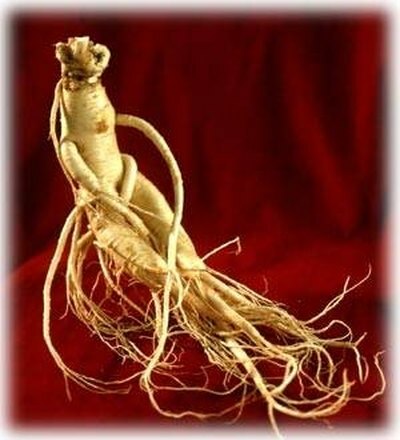 The most economical and effective way to enjoy the benefits of ginseng is to purchase the whole root. The root can then be used in a number of ways. Root slices can be brewed for an hour in a tea pot; the resulting tea can be sweetened to taste. Bits can be added to soups or other liquid based dishes. Using a mortar and pestle, the root can be ground and the resulting powder added to meals or placed directly beneath the tongue. Or, soak the root in boiling water for five minutes and chew. 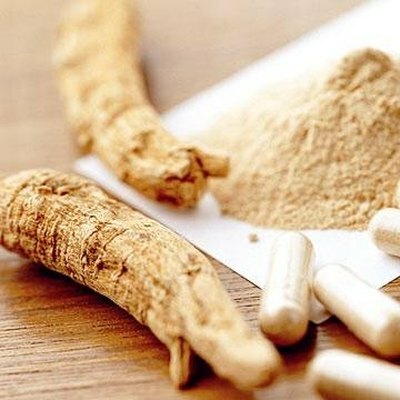 When purchasing ginseng, there are three major points to keep in mind: 1. Many stores sell Siberian ginseng as a substitute for Oriental and American ginseng. Siberian ginseng is not a true member of the ginseng family, but a distant cousin. It does not contain the same ginsenocide chemicals found in Oriental and American ginseng so it will not have the same effect. Some ginseng products can contain little or no detectable ginseng. Always purchase from a reputable source. If you experience headache, fever, digestive upset, rash, irritability, or insomnia when taking ginseng, stop and consult a health care professional.